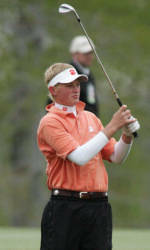 Clemson’s golf team is featured this week on Golfweek TV’s Around Campus TV program. Log on to www.aroundcampustv.com to listen to Golfweek TV’s analysis of the 2006-07 Tiger team. Head Coach Larry Penley and members of the Tiger team also discuss the season during the program.